Everything seems not going well in Himachal Congress as again internal spat were coming in the public sphere. Recently on the occasion of Viplove Thakur’s Rajya Sabha nomination, a heated argument between Chief Minister Virbhadra Singh and senior Congress leader and Dalhousie legislature Asha Kumari were seen at Vidhan Sabha premises and later it was reported that she had resigned from the Vidhan Sabha and sent her resignation to Vidhan Sabha speaker Brij Bihari Lal Butail. However, today Asha Kumari refuted the reports of her resignation and terms it as a plot to harm her politically. In her press statement, she said that she’s a dedicated and loyal Congress worker committed towards strengthening the party and the Government in the state. She believes that the State is making progress under Virbhadra Singh and claimed that Singh giving due attention to her Dalhousie Assembly constituency. But, the differences between Asha Kumari and Virbhadra Singh were know to everyone in state and despite being her clarification over her reported resignation, it seems that hardly anyone would like to believe on her statement. Over the selection of party candidates for the forthcoming parliamentary election, factionalism in the party core set-up was seen publicly. Till now candidature of sitting Mandi MP Pratibha Kumari is final and other three will take few more days to take final call. 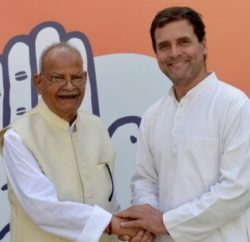 Independent legislature and once staunch supporter of Prem Kumar Dhumal, Rajender Rana were touted as a choice of Chief Minister for Hamirpur Lok Sabha segment, but congress office bearers from Hamirpur LS segment openly opposed it and even party state president Sukhvinder Singh Sukhu issued statement of supporting candidate from party fold only. 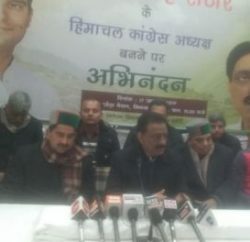 The Congress is still undecided over its candidate from Shimla and Kangra parliamentary as well. 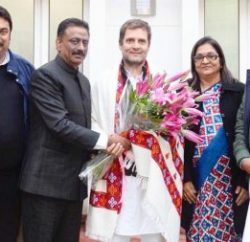 Although, candidature of former parliamentarian Chander Kumar, who has backing of Chief Minister, were seen final, yet growing popularity of Raghubir Singh Bali (especially among youngster) can’t be ruled out. On Shimla parliamentary, Virbhadra Singh reportedly backing the candidature of Mohan Lal Brakta, Rohru sitting legislature, but rebellious within the party fold were coming to the fore and large section of party office bearer were supporting candidature of Vinod Sultanpuri or Amit Nanda for the seat. Names of former speaker Gangu Ram Musafir and Sohan Lal were also in the list of ticket seekers from Shimla seat.